Firstly, and most importantly, this isn’t about bashing or criticising other money bloggers. I consider a lot of them to be my friends, mentors, and colleagues. They are also far more talented than me, more articulate than me, and frankly better bloggers than me. If it wasn’t for them I wouldn’t have started blogging, or if I had, I’d have given up a long time ago. 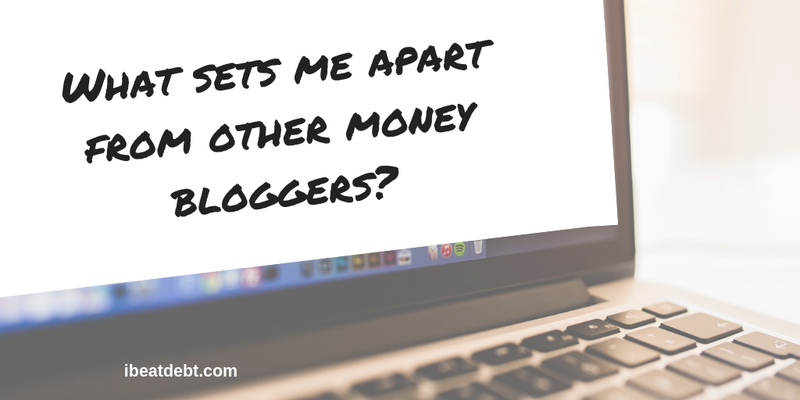 There is one main thing though that (in my opinion) sets me apart from a lot of Money Bloggers (particularly those that are based in the UK) – and that is that I have been in debt. I have hit rock bottom, I have been through debt management, I have been unable to get a bank account and yet I am still here, chatting about money! The reason I do this? I want to tell everyone that you can get through debt and come out the other side. I want people to talk about money more (us Brits are terrible at doing this) and get rid of the stigma about debt! 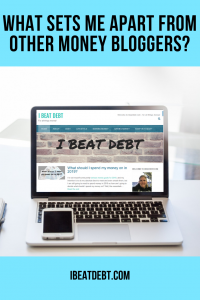 As I write about all things personal finance, from my debt journey to those not particularly elusive 2-for-1 deals on cinema tickets, I Beat Debt is not just for people who are in or who have been in debt. My debt inspired me to write about money, but my content is accessible and suitable for everyone!It is a well known fact that debt and mental health are linked closely, and there are far too many stories of people taking their own life as a way out of the situation. One story would be too many, but it is happening more and more and it needs to be stopped. 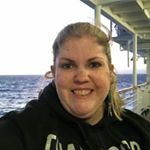 You may find that a lot of the content on ibeatdebt.com is very similar to content you have seen on other money bloggers’ sites – and that’s ok! We are a friendly and supportive bunch and we share our ideas and our money saving hints and tips with each other and our audiences. I mean who doesn’t love two for one movie tickets? What does however distinguish us from each other is the ability to put our own spin and story behind what we write about. There’s also a lot of very different, and individual content too, just sometimes these posts are a little harder to find. If you don’t like my writing? I’m totally fine if the way I write about things doesn’t appeal to you – I write as I speak and I am being true to myself. What I do hope however is that you find a money blogger or resource that writes about things that are important to you and in a way that you find understandable and accessible. Even if you are someone who has never struggled with money, there is probably one thing about personal finance which stumps you even just a little bit after all. You can find a great round up of other money bloggers here. They all bring something new to the personal finance table so take some time out and find one that appeals to you. Meanwhile, if you take one thing away from visiting ibeatdebt.com today – it’s that we need to talk money more! Whether you want to talk to your friends about a great way of saving money that you found, or you found a great side hustle that you think could help you and or them, or you just want to open up a money dialogue with them, please please do it! ← How your wedding venue doesn’t have to break the bank!